Audi Pittsburgh, a #1 Cochran Premier Brand, is here to help you find your next luxury vehicle. Our family-owned and -operated Audi dealership in Pittsburgh, PA, has a vast selection of new, used and Certified Pre-Owned Audi models for sale. Whether you're looking for Audi financing advice or wish to schedule repairs at our Pittsburgh Audi service center, you'll be treated with premium care from the moment you step onto our lot. Visit Audi Pittsburgh and experience the first-class car-buying experience you deserve. Schedule a test-drive to discover the new Audi Sedan or SUV that's just right for you. Our sedans include popular models like the new Audi A3, Audi A6 and Audi A7. We also have a large inventory of new Audi SUVs for sale such as the new Audi Q5 and Audi Q7. Or, come test-drive the new Audi RS 5 or Audi S5 to add a bit of style to your daily drives. We also have many used Audi vehicles for sale if you'd like to finance a like-new vehicle at a great price, or you can browse our selection of Certified Pre-Owned Audi models. Explore your Audi financing and lease offers and let us know which luxury car you'd like to drive home! Need Audi service and repairs, or wish to purchase genuine Audi parts? Our Pittsburgh Audi service center is here to handle all your automotive needs. Our Audi service technicians not only specialize in Audi models, but they're also well-equipped to work on vehicles from all makes. We can give your luxury car the kind of attention it deserves, and whenever possible we swap out components with genuine Audi parts so that your vehicle performs to its true potential. Audi Pittsburgh is conveniently located at 2050 Liberty Avenue in Pittsburgh, PA. This is easy to get to for our friends coming from Allison Park, Bethel Park, Glenshaw and beyond. Schedule a test-drive or a service visit to see how Audi Pittsburgh from #1 Cochran can best serve your needs! 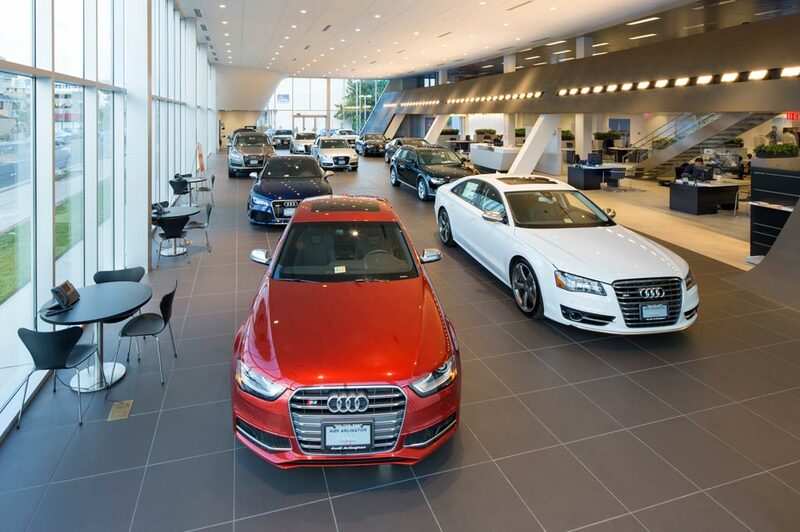 Audi Pittsburgh in Pittsburgh, PA treats the needs of each individual customer with paramount concern. We know that you have high expectations, and as a car dealer we enjoy the challenge of meeting and exceeding those standards each and every time. Allow us to demonstrate our commitment to excellence! Our experienced sales staff is eager to share its knowledge and enthusiasm with you. We encourage you to browse our online inventory, schedule a test drive and investigate financing options. You can also request more information about a vehicle using our online form or by calling 412.245.4200.